Located in Pine Mountain, Callaway Gardens is a beautiful Georgia resort that everyone in the family can enjoy. Owned and operated by the Ida Cason Callaway Foundation, Callaway Gardens is a premier Georgia resort destination. The destination is world renowned for the beautiful gardens from which it derives its name. However, the gardens are just the proverbial tip of the iceberg when it comes to the many delights Callaway has to offer. There is definitely much more to this award-winning resort destination than its famed gardens. 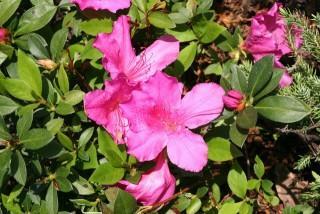 Azalea Bowl - Visitors will delight in the sights of a 40 acre azalea garden populated with nearly 3,500 hybrid azaleas, along with thousands of other shrubberies and trees. Spring is the perfect time to enjoy spectacular pink, white, and red azaleas in bloom, but the garden is a spectacular sight any time of the year. Vegetable Garden - Watch the art of gardening come to life in this 7.5 acre demonstration garden that includes various vegetables, fruits, herbs, flowers, composting area, and much more. Overlook Garden - Planted under the watchful eyes of founders Cason and Virginia Callaway, the Overlook Garden is truly one of the most beautiful places on earth during the spring months. Discovery Center - The Virginia Hand Callaway Discovery Center is a 35,000 square foot facility dedicated to educating visitors about the history and environmental impact of the gardens. Visitors can tour the museum and exhibit hall, see the film Time & The Gardens, dine at the Discovery Café, shop in the gift shop, and enjoy other activities. Horticultural Center - The John A. Sibley Horticultural Center at Callaway Gardens is a unique 5 acre combination of gardens and greenhouses. It includes both native and exotic plants, and features a 22 foot indoor waterfall, a tropical conservatory, rock wall garden, sculpture garden, fern grotto, outdoor garden, and more. Each year, the grounds are transformed into a magical holiday Fantasy in Lights extravaganza that is sure to delight visitors of all ages. Running from mid-November through the end of December, this outdoor event incorporates the sounds and sights of Christmas throughout the gardens, transforming it into a true winter wonderland. The holiday spectacular attracts visitors from around the world, and is an annual holiday tradition for numerous families throughout the southeast. 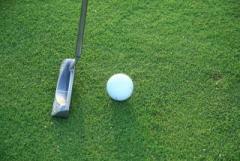 Many golfers choose to vacation at this spot simply to enjoy the excellent golfing opportunities. The resort is home to both the Mountain View Championship Golf Course and the Lake View Course. A variety of golf packages are available, and the staff can even coordinate group golf outings and tournaments for guests. There are several options for luxurious accommodations on the grounds. Lodging options include a lodge and spa, inn facilities, villas, and cottages. The Lodge and Spa features 150 luxurious guest rooms and suites under the same roof as Spa Prunifolia. The Villas are perfect for family getaways. Villas are available in a variety of sizes, ranging from one to four bedrooms. Each one includes a living room, dining room, laundry facilities, and more. The Cottages are also a terrific option for family vacation. The private cottages have two bedrooms and are located in close proximity to the conference center. The Mountain Creek Inn has more than 300 comfortable guest rooms and suites. The Inn houses an on-site fitness center, and is centrally located to restaurants, shops, and other resort attractions. Visitors flock to the gardens for all types of reasons. It's the perfect spot for a relaxing and luxurious getaway vacation for families, couples, and groups of friends looking for an escape from the bustle of their busy lives. Many couples choose to make the amazing natural beauty of the grounds the setting for their weddings, with pre-and post ceremony events taking place in the world class resort facilities. Intimate weddings often take place in the Ida Cason Callaway Memorial Chapel, and larger events are frequently scheduled in the Discovery Center. Many people choose to take day trips to the gardens from nearby locations such as Atlanta and Columbus, Georgia and Auburn and Montgomery, Alabama. Many corporations and professional associations also choose the area for corporate retreats, business meetings, and conferences. No matter why you choose to visit Callaway Gardens, you're sure to enjoy every second you spend on the grounds.